It’s June, which means we will soon be kicking off our 2016 Remarkable Reading Recommendations — several lists of wonderful books for readers of all ages. Our posts will start later this month. Be sure to subscribe to our blog so you won’t miss these great stories! Click the picture to purchase this book from Amazon! This month, we celebrate pets. Dogs, cats, birds, guinea pigs, lizards, ferrets, frogs — they’re all part of our families. When we adopt a pet, we hardly realize the impact we are about to make in our lives and theirs. Pets show us how to be helpful, caring, compassionate people. They make us feel joyful, exhilarated, and proud. Pets are simply incredible. 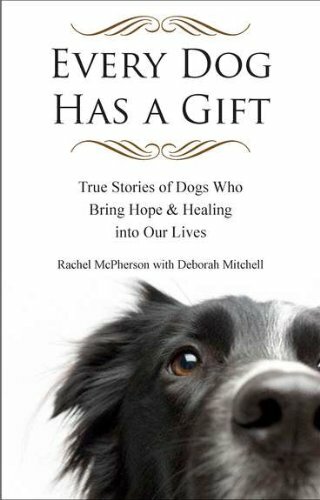 Every Dog Has a Gift, written by Rachel McPherson with Deborah Mitchell, is a compilation of short stories about dogs that have gone the extra mile. From rescue and service dogs to “man’s best friend”, the stories are inspiring and heartwarming. Each story is around 5 – 10 pages, perfect for a quick family story time after dinner. The reading level is around middle school, so this is probably one to read to your younger children. But, you could challenge your older student to read a story out loud one night. Do you have a family pet at home who has gone the extra mile? Share your story in the comments!